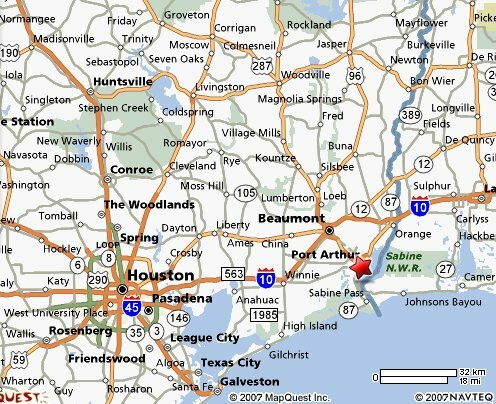 Have Boat Will Travel Guide Service is located near Port Arthur, Texas just 1 hour, 30 minutes east of downtown Houston and 30 minutes south of Beaumont. In order to minimize travel time on the water and for weather considerations, several launch sites are used around the Sabine Lake area. The directions to the launch site on the day that you fish will be given to you before your trip.